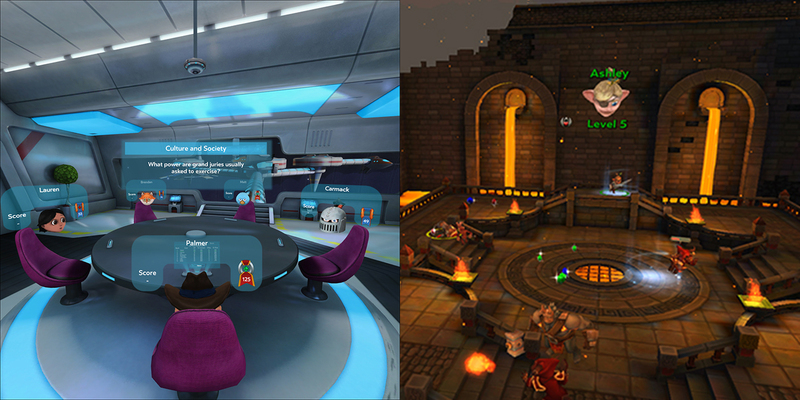 Would you like to bring your real-world friends in Virtual Reality? If you have a Samsung Gear VR headset and an Oculus account, you can now connect to your Facebook friends and share 360 videos, play VR games with your friends! Virtual Reality becomes closer to reality when your friends are sharing the same experience as you are. Oculus recently published two new immersive video games that you can play with your friends or with people around the world. Social Trivia is one such VR game where you can sit in a virtual room with your friends and battle out your general knowledge skills. Herobound: Gladiator is another good example in which you can team-up with 4 friends to fight demons and goblins in an action-packed battlefield. You can talk to your real friends in virtual environment, and they can reply you back like any normal conversation. Those two games can be found in the Oculus Store. Whether it is for socializing with your own friends or following a celebrity online, no one can deny the importance of Facebook. If you have a Samsung Gear VR headset and an Oculus account, you will soon have the facility to synchronize your Facebook account with your Oculus account to watch personalized 360 content on your newsfeed. The integration of new social features in the Oculus Software is a huge step forward to bring people together and open exciting doors for Virtual Reality enthusiasts as well as for all social media users.